Honestly I don’t understand all this fuss about Leopard. These stories about people having crashes and blue screens — what’s that all about? Katie says it’s just how the media works and because Vista had all those problems the natural story is to say, Oh ho, and now here comes Apple and their new OS is having problems too. She says the filthy hacks have probably just been waiting to write that story for months, long before Leopard even shipped. Great. So now we’re getting tarred with Vista’s brush. Well, I can only speak from personal experience. 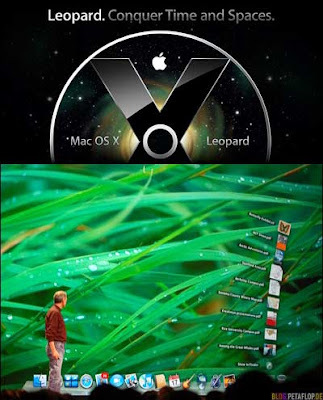 I’ve been using Leopard beta builds for the past two years on a variety of machines. But I also do try to get the same experience as a regular person. On the day of the Leopard commercial release my tech team was in here loading the final build and they assure me that everything went smoothly, the install was a snap, and there have been no problems at all since then. And I’m running Leopard on a 40-foot LCD screen so believe me, if something went wrong, I’d know about it. From what I’m told the only problems in the field have been rare occurrences and were entirely caused by user error. Though of course we can’t say that because then we look like dicks. » Leopard sales match Vista. At least for the first 2 days.